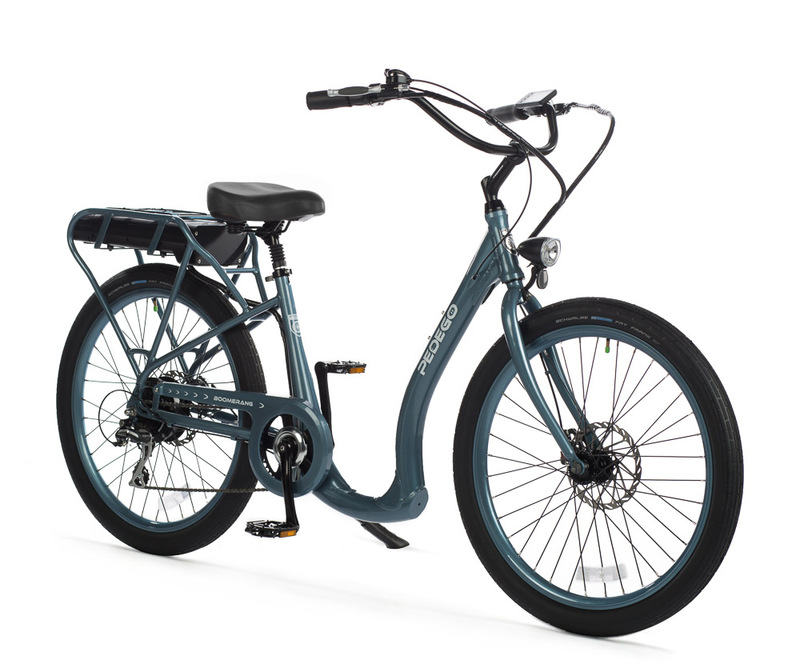 The Pedego Boomerang and Boomerang Plus low step frames are the most accessible electric bike ever - making riding more fun and easy for everyone! Featuring an ultra low 9" step thru frame, the Boomerang and Boomerang Plus is perfect for riders who can't swing their leg over the saddle to mount their bike. 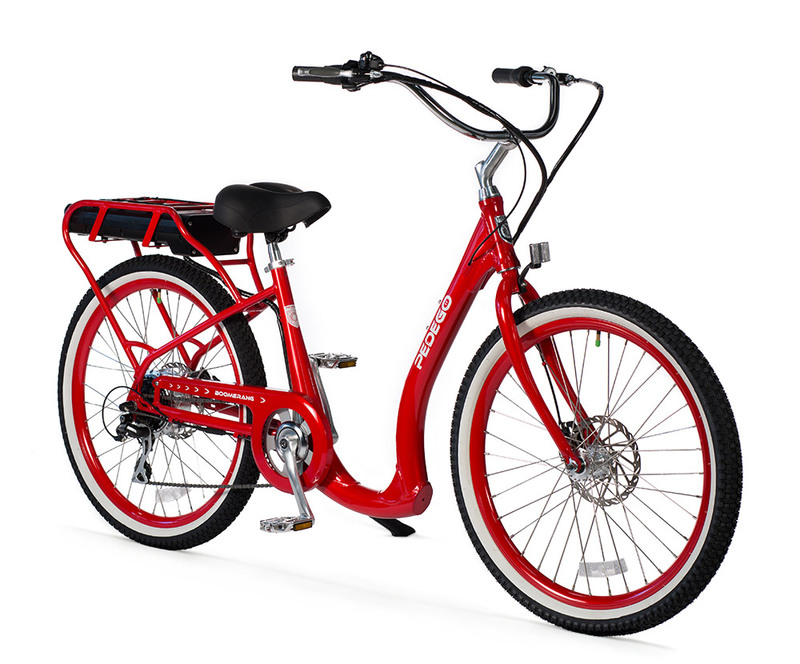 Featuring cruiser style handlebars and plush, comfortable saddle - this is the most comfortable e-bike on the market! The Boomerang Plus is flush with premium features for maximum comfort while riding. The ultra low 9" step through frame allows easy access for all riders, while still maintaining a strong, durable frame for years of enjoyment. - Full coverage chain guard that protects your clothing. - Deluxe saddle with a suspension seat post for extra cushioning where it counts. - Wide, swept back handlebars allowing you to sit back and relax. - Premium balloon tires for a nice, smooth ride. The Boomerang is a fantastic value with outstanding features for maximum comfort while riding. The ultra low 9" step through frame allows easy access for all riders, while still maintaining a strong, durable frame for years of enjoyment. - Soft saddle for comfort where it counts. - Cruiser tires for a comfortable, smooth ride.